With just 16 inches of draft and 19-degree dreadrise, the 223cc inshore and offshore hybrid excels both inshore and offshore. For the serious fisherman, the 223cc features a 35-gallon self-bailing fish box, a 36-gallon lighted live well with a 3/8" clear acrylic lid, two tackle lockers, lockable rod storage, and under gunwale rod racks port and starboard. Comfort is always standard on an Everglades, and the 223cc is no exception. Cushioned forward console seating, U-Shaped bow seating, a padded cooler seat with backrest and folding seats in the stern can accommodate up to 10 people. Everglades' signature hard top features 2 stereo speakers, canvas life jacket storage, and Everglades' patented sliding windshield. Add the trolling motor, Power Pole, and jackplate and you have a versatile, well-equipped fishing machine. 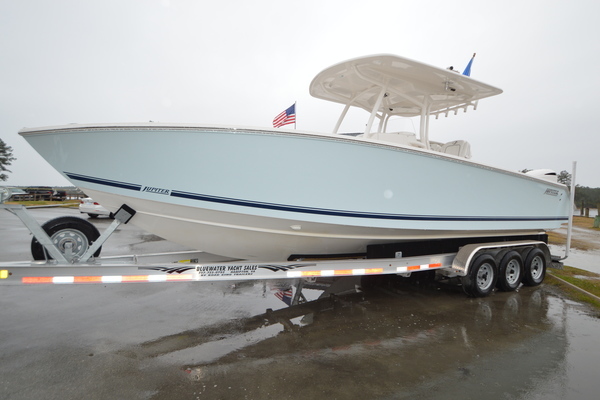 West Florida Yachts would love to guide you through a personal showing of this 22' Everglades 223 CC 2007. This yacht for sale is located in Cape May, New Jersey and priced at $39,000. For a showing please contact us by filling out the form on this page and we will get back to you shortly! Yamaha F250TXR 250hp with only 210 hours. Brand new Yamaha SDS prop for maximum performance. Boat has a 2013 Ventura dual axle trailer included in the sale.